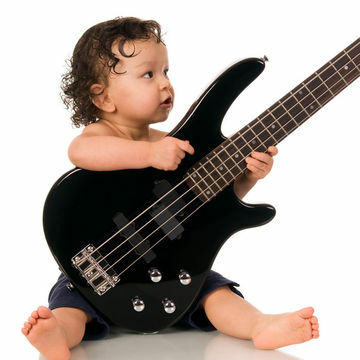 These hard rockin' baby boy names will get your groove on in no time. While you may really like traditional (and popular) baby boy names like Jacob and Michael, you'd really prefer to bestow a name that is a bit more unique, and something that suits your own personal sense of style. Forget about the most-used baby names in 2012. These rockin' names, for the most part, haven't sniffed the top spots in decades (if ever), so your boy likely won't run into other children who have the same name. From names of rock legends, to the names of musicians' children, to names that are just simply cool, these baby names aren't super popular, and they definitely are not boring. Edgy, interesting and unique, a rock-n-roll name will undoubtedly have a positive outcome for your son: Everyone will remember your little boy and his cool name.